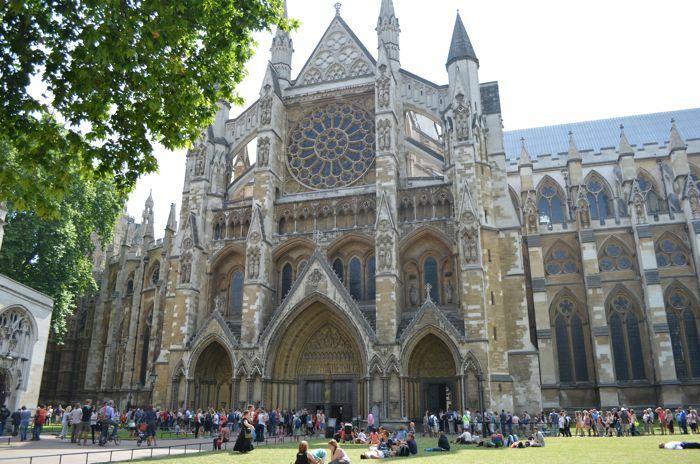 Exterior of Westminster Abbey, interior photographs prohibited. At the back of Westminster Abbey, under a black marble plaque; an unknown soldier was buried in November 1920. In 2002, after the Queen Mother's funeral, Queen Elizabeth laid the funeral wreath on top of the unknown soldier's grave. It was a spontaneous gesture in memory of the bouquet her mother had laid at the grave at her own wedding in 1923.